Self-propelled anti-aircraft weapon, or self-propelled air defense system, is a mobile vehicle with a dedicated anti-aircraft capability. 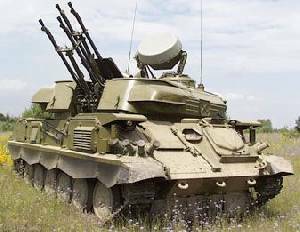 Specific weapon systems used include machine guns, autocannons, larger guns, or missiles, and some mount both guns and longer-ranged missiles. Platforms used include both trucks and heavier combat vehicles such as armoured personnel carriers and tanks, which add protection from aircraft, artillery, and small arms fire for front line deployment.